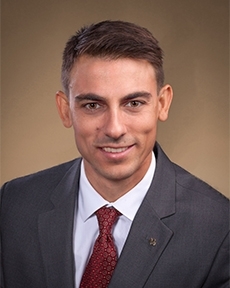 Joseph is an advisor for Tompkins Wealth Advisors. He is responsible for building new client relationships and identifying the appropriate investment strategies to work towards their specific needs. He works closely with an internal team of financial planners and analysts to provide a variety of strategies focusing on wealth management, financial planning, and risk management. Joe brings over nine years of experience in the financial services industry. Prior to joining Tompkins, he was a supervisor with Transamerica. He holds the FINRA 7 and 66 security registrations through LPL Financial,and a bachelor’s degree in finance from Florida State University. Financial Industry Regulatory Authority | Member of the Securities Investor Protection Corporation. This website is for informational purposes only and not an offer to buy or sell securities. No offer may be made or accepted from any resident in a state where Tompkins Wealth Advisors is not registered. Securities and advisory services offered through LPL Financial, a Registered Investment Advisor, Member FINRA/SIPC. Insurance products offered through LPL Financial or its licensed affiliates. The investment products sold through LPL Financial are not insured Tompkins Trust Company deposits and are not FDIC insured. These products are not obligations of Tompkins Trust Company and are not endorsed, recommended or guaranteed by Tompkins Trust Company or any government agency. The value of the investment may fluctuate, the return on the investment is not guaranteed, and loss of principal is possible. Tompkins Wealth Advisors and Tompkins Financial Advisors are not registered broker/dealers and are not affiliated with LPL Financial.